Mutrah Souk is one of the oldest marketplaces in the Arab world. For centuries it served as a trading place for goods that passed through the Muscat harbor from India, China, Europe and other parts of the Middle East. The souk is still a lively marketplace today, with trading of local produce like fruits, vegetables, herbs and spices as well as traditional textiles, garments, jewelry, incense, pipes, pottery and craftwork. Immerse yourself in the humming and aromatic marketplace with its many meandering aisles and alleys brimming with stalls and vendors. Locals call this market “Al Dhalam Souq,” (The Shaded Market). The ancient marketplace was once made up of narrow lanes with mud walls and palm leaves that blocked out most of the bright Omani sunlight. Today, the market has been renovated and decorated in contemporary Arabic style, with colorful stained-glass windows and bright lanterns under a sturdy timber roof. Explore the winding lanes and follow the sweet fragrances of perfume oils, fresh jasmine and spices. Embroidered cloth, headscarves and clothing items can be found in the small shops that line the marketplace. Indian and Omani antiques and gold decorations are stacked up to the ceiling in some stalls, while others are piled with brightly colored spices and powdered dyes. The main north-south thoroughfare becomes livelier after dark. Wander between stalls to join the exciting marketplace atmosphere or watch it all go by from a seat in a coffee shop. 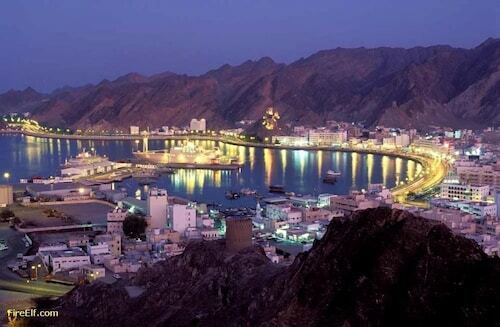 The Mutrah Souk is located by the harbor in the heart of Old Muscat. It’s free to enter the souk. Haggling is expected here, but discounts may not be drastic. The market is open twice a day: first from early morning until midday and then from late afternoon until late evening. On Fridays, the market only operates in the afternoons. It can be difficult to find a parking spot around the busy marketplace, so come by taxi instead. If you're after more options, peruse our Muscat things to do page. 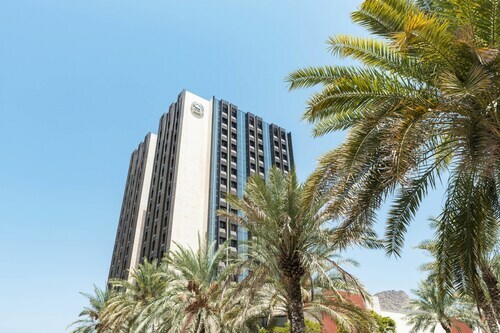 The sultan’s official palace is a stunning example of contemporary Islamic architecture surrounded by lush gardens and the beautiful Mutrah Harbor. This 16th-century Portuguese fort was once a prison. 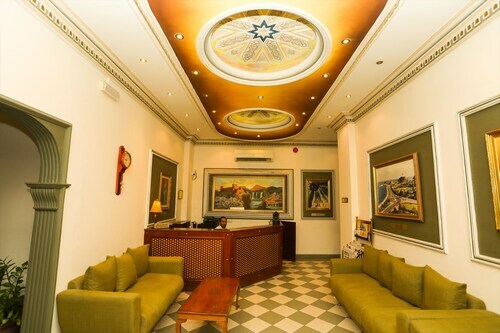 It has been turned into a private museum and offers some of the best harbor views in Old Muscat. Experience the bustling activity of Muscat’s fishing trade at this landmark building, dine at an on-site restaurant or purchase fresh produce to take home. Muscat’s main mosque is lavishly decorated with elaborate carvings, one of the world’s largest Persian carpets and colorful hibiscus flowers. Excellent location. Helpful staff. Good food. Service a bit haphazard. Great view from the room & terrace restaurant. But rooms are shabby and not very clean. Overall the positives outweigh the negatives. 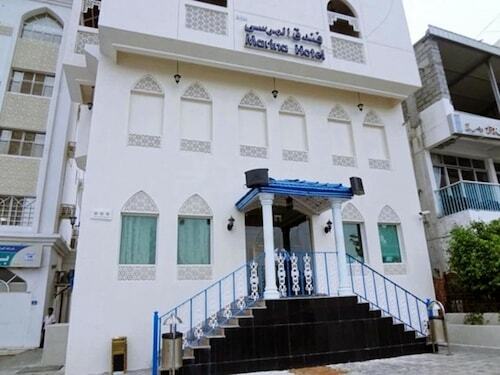 Located in Muttrah, this hotel is within 1 mile (2 km) of Bait Al Baranda Museum, Muttrah Souq and Muttrah Corniche. Port Sultan Qaboos is 1.3 mi (2.1 km) away. The room was clean and the hotel staff wre very nice and helpful. 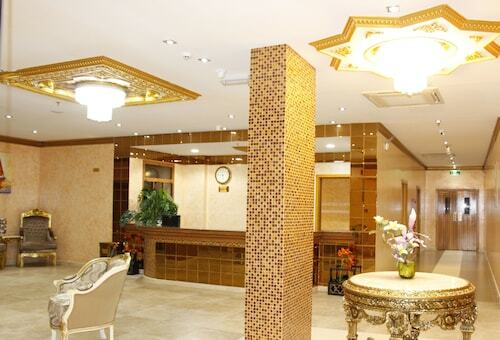 We had a lovely stay in Riyam Hotel, very enjoyable, staff were very kind and helpful. Close to many local points of attraction. I would recommend this hotel to stay in. Wonderful stay! We liked everything about it. The room size was good and the quality of everything was superb. Staff was very friendly and helpful. All for a reasonable price. 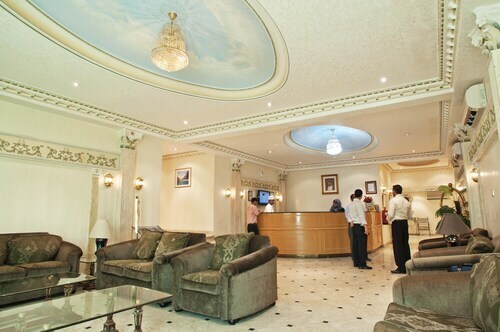 Perfect hotel experience in Muscat. Nice clean rooms, friendly staff, and an AMAZING BREAKFAST INCLUDED!!!! Centrally located between the beaches and the city, I will be back! My family were travelling to bkk and had a day to spend in Oman. I booked this hotel because it was close to the matra7 souk. It was clean and comfy. Very good value for money. 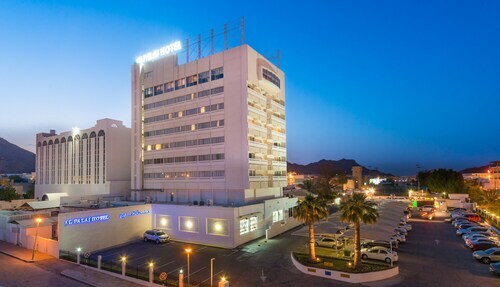 Located in Ruwi, this aparthotel is within 2 miles (3 km) of Muscat Central Business District, Muttrah Corniche and Port Sultan Qaboos. 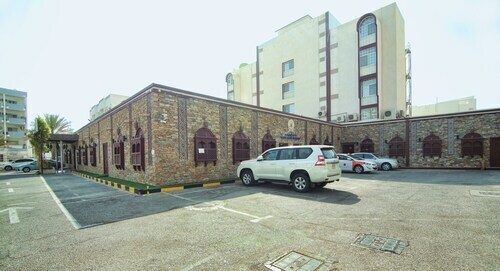 Muttrah Souq is 1.7 mi (2.8 km) away.